WEST PALM BEACH — Just in time for Independence Day, Shark Wake Aqua Park is open for business. The inflatable, floating obstacle course at Okeeheelee Park, which was built and operated by a company owned by golfing great Greg Norman, made its debut on Saturday. It will be open during Wednesday’s Fourth of July holiday and throughout the summer at a temporary location near Pooch Pines Park. Later this year it will move to the Osceola Pavilion side of Okeeheelee Park as part of the Shark Wake Park 561 complex, which will include a cable-powered watersports park called Wake Park. 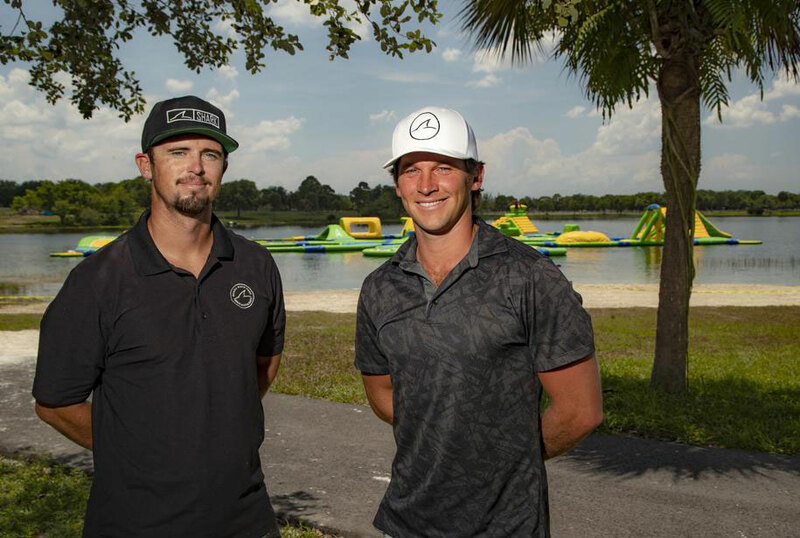 Aqua Park’s debut is going well, said Greg Norman, Jr., the CEO of Shark Wake Park 561. The complex is the first of its kind in Palm Beach County. Aqua Park sessions are 45 minutes in length and begin on the hour between 10 a.m. and 5 p.m. Participants must be 7 years old, at least 45 inches tall and a good swimmer. Aqua Park can hold 150 people at a time, while Wake Park allows multiple skiers to go out on the course together on whatever apparatus they choose. Participants are pulled along by an electrically-driven cable rather than by a motorboat. Wake Park will offer cable wakeboarding, waterskiing, wakeskiing and kneeboarding as well as a pro shop, food and drink concessions and showers. Online registration for Aqua Park is encouraged. Each session is preceded by orientation and instruction. This article appears courtesy of Jodie Wagner and Palm Beach Post.